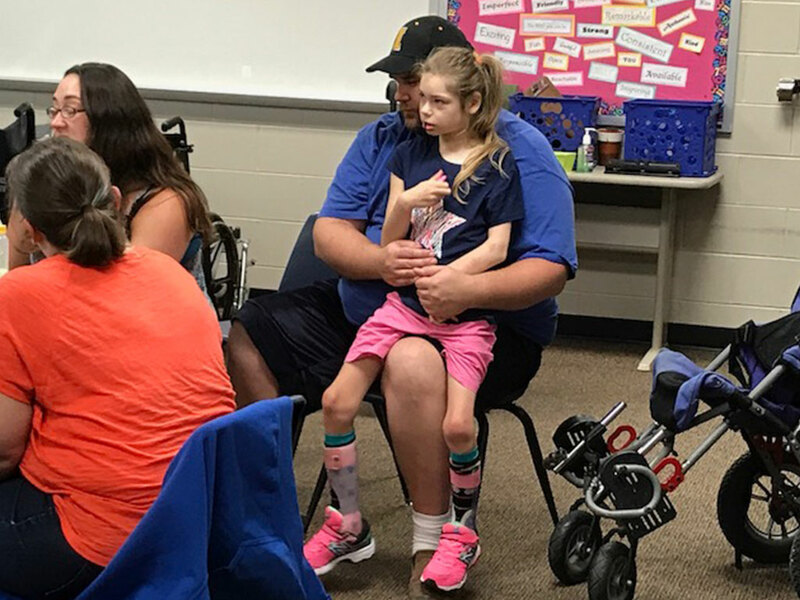 CEDAR RAPIDS, Iowa (August 30, 2017)—Kirkwood Community College recently partnered with the Mount Vernon School District piloting onsite, healthcare training for employees assisting students with diverse needs, or paraeducators. The 40-hour training course taught by Registered Nurse Teresa Boston was customized to meet the student demands in the Mount Vernon School district. Taking vital signs, functioning, nutritional and personal hygiene support, infection control and worker safety were some of the topics covered. Eight paraeducators who assist with between three to 20 students with behavioral and physical limitations participated. According to the Iowa Board of Education, paraeducators work under the supervision of teachers or other licensed personnel. They provide instructional support for children grades K-12 and those in residential educational facilities. Paraeducators help schools meet the educational demands of the No Child Left Behind Act of 2001 and the Individuals with Disabilities Act of 2004. In addition to onsite training, Kirkwood offers short-term certificate courses for paraeducator generalists with or without specialization, advanced PK-12 certification and renewal. Many Iowa school districts require paraeducators to be certified. For more information about custom, paraeducator healthcare training call 319-398-4970. To learn more about certification visit kirkwood.edu/paraeducator.